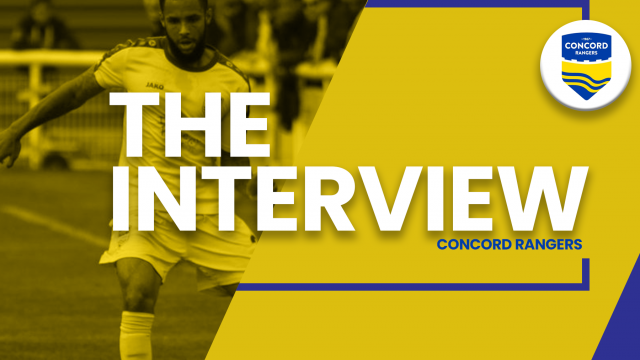 Ahead of tomorrow’s encounter away to play off chasing Opponents, Bath City, we spoke to the other man scoring plenty of goals for the Beachboys, Alex Wall. Alex, you’ve returned from injury now, what was it like getting back in the field with the lads? It’s been great to be back out there and back in the routine of a match recover and prepare for the next game. I’ve had enough injuries to last a life time so I’m glad I’m able to get back after missing only a few games and help the boys out and cement our place in the play offs. You’re back on the scoresheet again, is that a big boost of confidence? Back on the score sheet? 3 in my last 3 starts isn’t it? But yeah goals breed confidence and that’s what I need at the moment and hopefully they will continue, as we continue to grow as a group and carry on in the right direction but as anyone will tell you as long as we’re winning I don’t mind who scores. As managers what have you made of Sammy and Jack’s guidance and skills? Sammy and Jack have been great and are defntly a major factor in getting my confidence back and the team doing well, not just on the field but off it aswell away from football I couldn’t of asked for a better management team around me and I am very grateful to them.